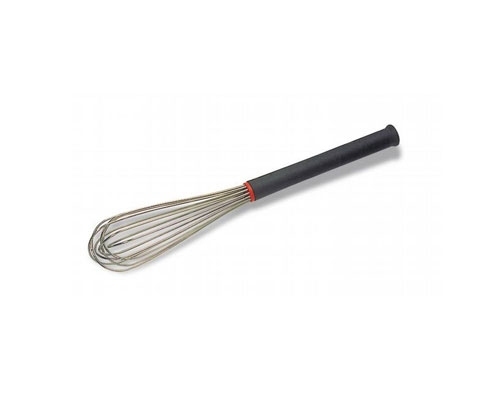 Thermohauser's 12 in. 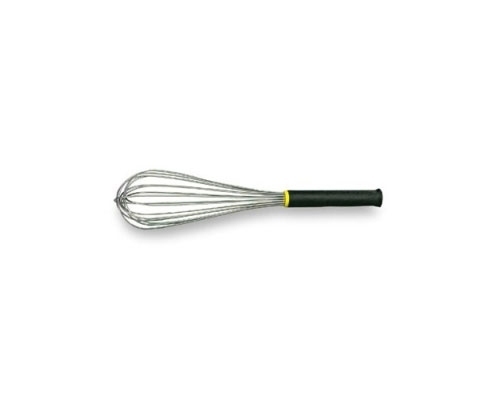 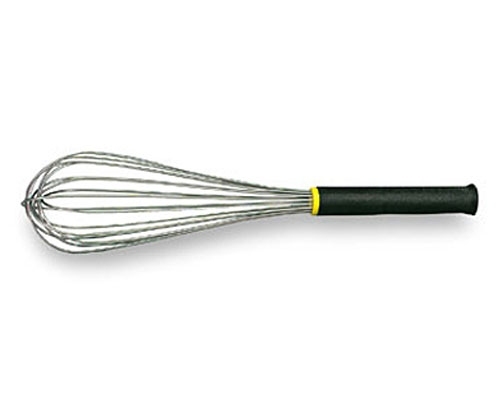 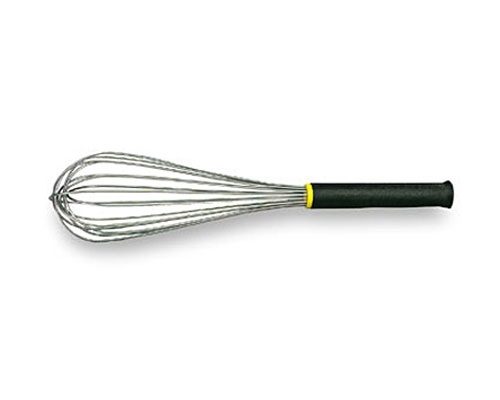 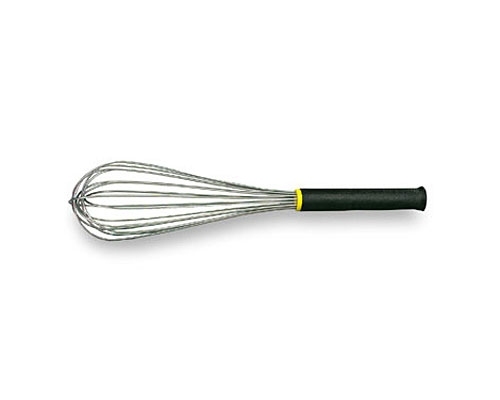 Whisk is an excellent option for your every day whipping needs. 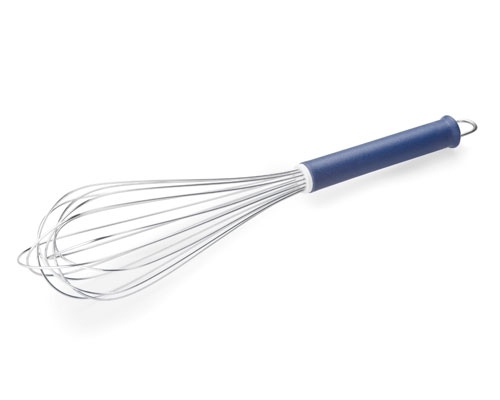 Stainless steel wires with a blue heat resistant fiberglass handle up to 400F.